‘Embrace change’. A motto like that could easily belong to a Silicon Valley start-up, but it is in fact one of five core values – along with safety, ethics, excellence and teamwork – that guide US-based Dominion Energy as it reimagines what it means to be a utilities provider in a clean energy future. Change comes naturally to a generations-old company with roots in horseshoe manufacturing, ice making and trolley-car services. The numbers demonstrate Dominion Energy’s progress over the years. We have cut our total carbon dioxide emissions by nearly 50 percent over the past decade – the equivalent of taking six million cars off the road. We also achieved our goal of reducing carbon intensity – the amount of carbon emitted per unit of energy produced – by 50 percent, and we are committed to reducing methane emissions as well. Importantly, we have continued to grow while making these reductions: today, we operate the fourth-largest solar fleet in the US, and we are advancing the first utility-owned offshore wind project along the Atlantic coast of the US. We are doing this in partnership with Ørsted, the Denmark-based power developer with more than 1,000 offshore wind turbines operating around the world. Dominion Energy has been deeply engaged in the worldwide effort to limit global temperature increases. Stakeholders want cleaner energy. We intend to deliver it to them. We are committed to taking actions to support the objectives of the Paris climate agreement and the United Nations Framework for Climate Change Convention, on which the accord was built. We will continue to monitor and learn from the latest scientific evidence relating to the impacts of a warming planet as we implement measures to meet our carbon-reduction pledge in support of the Paris Agreement’s goals. We take all of these actions with an unwavering commitment to safety, reliability and affordability for our customers. This includes hardening the electrical grid against the physical risks associated with climate change, while also planning for another 20 years of clean energy by relicensing carbon-free nuclear power stations. We aim to make our gas infrastructure system among the cleanest in the US by adding renewable gas and reducing methane emissions to help users minimise their carbon footprints. Clean energy is just one aspect of Dominion Energy’s long-term sustainability strategy. The company’s board of directors reviews all sustainability-related efforts, monitoring performance and increasing disclosure of performance targets and results, including community service. Serving people is ingrained in our company culture. We donate more than $30m (€26.7m) every year to support the communities in which we do business, and an environmental justice working group shapes the company’s community engagement. We are proud that Dominion Energy has been recognised as one of the best US employers for women and military veterans, as well as being acknowledged for leadership in political transparency and disclosure. We believe in the basic principle of universal service, reimagined for a sustainable future. This means that all people should have access to energy and electricity, no matter where they live. This principle remains important as the world makes the transition to cleaner energy. It means sharing not only the benefits, but also the cost of making this transition. This is the best way to avoid creating clean energy haves and have-nots. Every consumer, industry and nation has a role to play in shaping a sustainable future. No one can change the trajectory on their own – not even the electric and gas industries in Europe and the US. A clean energy future will require the transportation sector to go completely electric or to use clean natural gas, and it will require countries around the world to do their part – especially in areas of rapid industrialisation. Without collaboration, progress will remain slow. Everyone who uses energy will have to do their share: private industry and public policymakers need to take actions that promote clean energy and protect economic prosperity without unfairly burdening consumers with the costs. 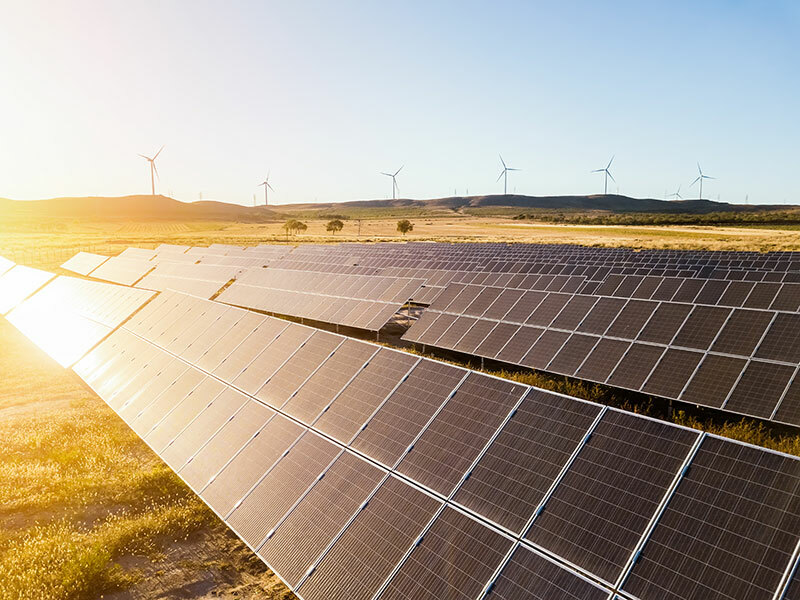 At Dominion Energy, we are committed to doing our part: we stand ready to work with customers, business partners and governments to help achieve the clean energy future that we all know is possible.